A total of 11 taxi drivers in two weeks were found to either be overcharging or taking longer routes. Gardaí carried out the checkpoint on the N32 near Dublin Airport this afternoon. A GARDA OPERATION designed to catch unscrupulous taxi drivers fined five separate operators for not bringing fares on the shortest route possible. Gardaí from the Dublin Metropolitan Region (DMR) Traffic division and National Transport Authority (NTA) conducted a checkpoint on the Malahide road today. Officers said that this is one of a series of such checkpoints carried out in recent weeks and that the practice will continue for the rest of the summer. They said five taxis were detected for the offence of not using the shortest route. This carries a maximum fine of €2,500 on conviction. Two other drivers were fined for overcharging their customers – both were issued a fixed charge penalty notice which carries a €60 fine. A garda spokesman said: “During a similar checkpoint last week, six taxis were detected for failing to use the shortest route and and three for overcharging. Gardaí wish to stress that the vast majority of taxis stopped were fully compliant with the legislation. Email “New garda operation catches five taxis 'taking longer route' to Dublin Airport ”. 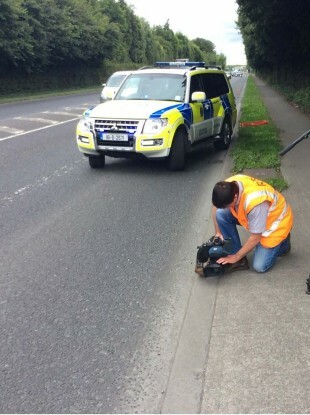 Feedback on “New garda operation catches five taxis 'taking longer route' to Dublin Airport ”.